3D printing technology is approaching many fields including the medical industry. Yet, many people believe that 3D organ printing is still in the development stage to be presented to the market and mass medical use. The 3D printing is evolving rapidly in medical field an d one of the good examples is BioBots bio 3D printer, the first desktop-size printer that can print functional human tissues. 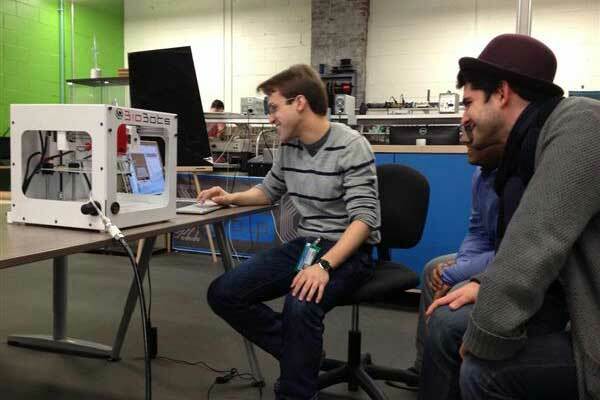 The 3D printer is found by Danny Cabrera and Ricardo Solorzano, students in Miami Dade Collage. The new project attracted both young researchers to focus completely in developing it. Cabrera deferred his plans to do the Ph.D in bioengineering at Pennsylvania, and Solorzano deferred his acceptance for the medical school as well. Later, DreamIt Health, a health IT investor, funded the new startup with $50,000 in exchange for 8% equity. Additionally, they received funding from Ben Franklin Technology Partners, Wharton, and University of Pennsylvania for a total amount of $150,000. The team plans to achieve $2.5 million seed. Currently, the total collected funding is $200,000. 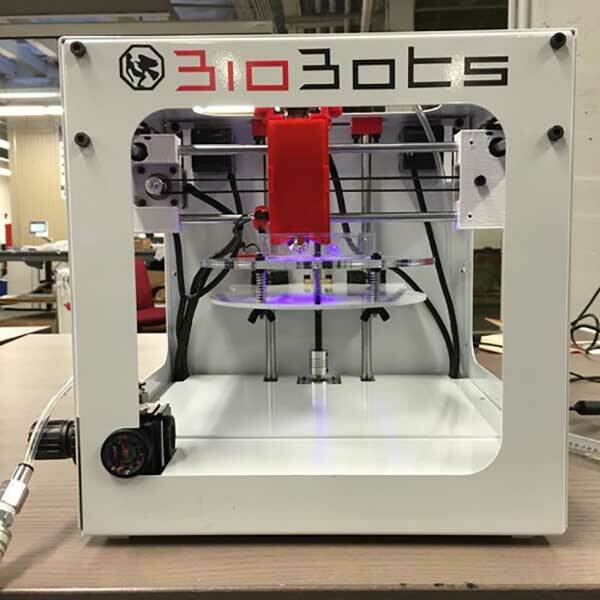 The team scribes the new BioBot 3D printer as “future of regenerative medicine,” Their goal is to design an affordable, cheap and high quality desktop 3D printer that can be used by scientists, engineers, physicians and DIY biologists. The current model is 12×12 inches and sells at the price of $5,000. Comparing with the the traditional bio printing process that costs around $250,000, the new 3D printer is significantly cheaper and take less space. Additionally, the BioBot can be run by one person, which make it affordable to be installed in medical clinics and small medical labs. The BioBot has 100-micron resolution and can use bio materials in printing such as polyethylene glycol, collagen, fibrin, gelatin and Pluronic F-127. These raw materials can be used to print human parts such as lattices, cell culture, blood vasculature and cartilage knee caps. How the BioBot 3D printer works? Similar to any 3D printing process, the model is created using any 3D printing software such as SlidWorks to produce the STL file. Then, materials is chosen from the above mentioned bio materials. These materials are modified to be photo curable, which means that the materials becomes harder when exposed to blu light. Another property for the Pluronic F-127, which it dissolves easily in the cold water. So, it can be used during the printing of the cells. After printing, it can be washed out to leave only the cells. Unlike the normal FDM 3D printing process, the BioBot uses compressed air to force the cells to go from th nozzle and build the cell layers very precisely. 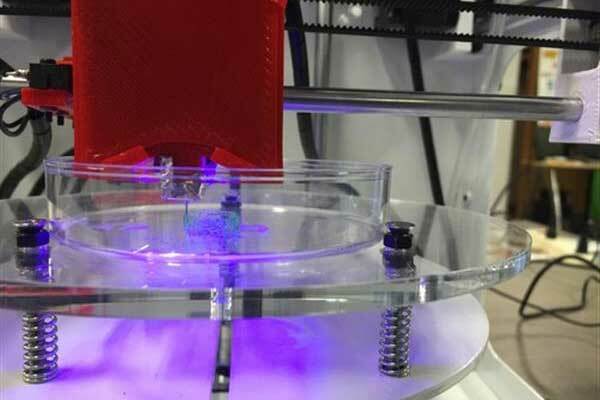 The 3D printer may display a blue light to help the cells to contact o each other. Can BioBot be used in 3D organ printing? Although the current model of BioBot is designed to print living and functional cells, it provides a basic prototype for full human organs printing. Further investigations on this course can lead to enhanced models using the same technology to print more complex tissue forms such as organs. Currently, the BioBot is achieving success in the market as 18 units already sold for medical researchers to build bio materials such as bones, hearts and mini-stomachs. The new startup is taking the 3D printing to a revolutionary level in the medical field. The tissue planting becomes more easier and affordable than before.